Copyright © 2004, 2005, 2006, 2007 www.hauntedamericatours.com, www.hauntedworldtours.com & Bachigraphics. All Rights Reserved. No portion of this website may be reproduced, copied or revised without written permission of the authors. This website is provided "as is", for your information only, without warranty of any kind, either expressed or implied, including, but not limited to, fitness for a particular purpose and non-infringement. You assume all risks concerning the suitability and accuracy of the information within this website. This website may contain technical inaccuracies or typographical errors. The authors assume no responsibility for and disclaim all liability for errors or omissions in this website and in other websites referred to within or linked to this website. Should you respond with information, feedback, data, questions, comments, suggestions or the like regarding the content of this website, any such response shall be deemed not to be confidential and the authors shall be free to reproduce, use, disclose and distribute the response to others, without limitation. You agree that the authors are free to use any ideas, photographs, and items of interest contained in your response for any purpose whatsoever including, but not limited to, developing, manufacturing and marketing products incorporating such ideas, concepts or techniques. The views and opinions expressed on these pages do not necessarily constitute those of the Owners or Web Hosts of Haunted America Tours or Haunted World Tours and are solely the property of contributing authors and editorial writing staff. Some of the haunted places, hotels private homes and buildings on haunted list or articles are on private property and "trespassers will be prosecuted." Some of the sites mentioned are on private property and are not open to the public, where possible these have been left out. Publication of submittals is in no manner an endorsement of fact and should not be construed as such. Submittals are on an independent basis and are published by Haunted America Tours and/or Haunted World Tours as entertainment and Paranomal / Haunted information only. While every care has been taken to ensure that information in this website is correct and up to date we can accept no liability and no responsibility for any loss resulting from the reliance of information contained within these pages. The website has been created to provide a developing resource for mysterious subjects and places within the United States of America. Paranormal World News stories appear in new browser windows. Stories are not archived on this website; links may expire without notice. Increasingly more sites require registration, changes occur daily and from site to site, and smart browsers that remember logins make it impossible to point out which sites require it and which don't. Nor can we copy news stories to our site without infringing copyright laws. If a link is dead we apologize for the inconvenience. Please remember to respect any ancient sites that you may choose to visit through this site. These monuments are our national heritage and although they can still be places of worship please don't cause any physical disturbance or leave anything at the sites. Some of these stories are drawn from sources that have perpetual mistakes from older sources, and assigning objective reality to the stories (especially hauntings) should be guarded against. Many of the older tales are purely folklore, although they may have been based on an event that left its mark on local society. For example: notorious characters who were known during their lives as tyrants and oppressors, often have their comeuppance after their death in grim folklore, perhaps as a way of come back by the local populace. These stories were retold over generations to become the folklore and legend of a local area. Many stories that have been recorded are at odds with conventional historical fact, and all should be taken with a grain of salt. That being said: almost everybody has a strange tale to tell and some of the modern experiences of hauntings are hard to ignore as mere fancy. We do not know all there is to know and I have no doubt that people experience frightening phenomena in certain places, although we do not know the mechanisms that are behind these experiences. As human beings our feelings, beliefs and passions are just as important to our own experience and 'truth' as the proven facts of science. A word should also be mentioned about the language used: said to be haunted, haunted, reputed to be haunted, generally mean the same thing: that there is a story about a haunting at a site rather than meaning the site is definitely haunted, as this is really tied to belief. All media elements in the www.hauntedamericatours.com, www.hauntedworldtours.com, domain are owned and copyrighted by the authors, with the exception of elements provided by other contributors, as noted. Photos provided by site visitors/ writer are assumed to be the copyrighted property of that visitor, or article writer, made available to www.hauntedamericatours.com for nonexclusive use on this website. When appropriate, images provided by visitors will be properly credited. All material within this website unless stated otherwise is subject to copyright and may not be copied and reproduced without prior permission. The design and layout of this website may not be reproduced, copied or distributed without prior permission. The website may be used for research purposes and a list of books from various authors is given in the bibliography section for people wishing to take their research further. You may download and use information from this website for non-commercial personal use, but you may not reproduce any part of this website on another website without prior permission. Please us at http://www.hauntedamericatours.com/submitstory/ if you require any further information. Most of the images within the site have been hand drawn or computer drawn from site observations, imagination or from out-of-copyright sources. Any other images have been credited wherever possible. Photographs have been taken by the authors or by contributors, where this is not the case photographs have been credited. All the maps within the website have been sketched from out of copyright sources, which means 50 years for Crown Copyright and 70 to 100 years for other sources. Any contributors to the site have been credited where their work is shown, and the same applies for images supplied from outside sources. All text within this site has been written by the authors or by contributors, we have listed a number of source books and books and web sites which can be found dealing with the same subjects. HauntedAmeric tours.com Paranormal Research & Investigations makes all efforts to provide useful and accurate information. No warranty, express or implied, is made regarding accuracy, legality or reliability of any information contained on the pages of this site. All information is provided as an informational service and does not constitute a legal contract between ourselves and any individual or entity. We provide this information on an "as is" basis. We reserve the right to change or update to the information at any time and without notice. Any person or entity who relies on information contained herein does so at his or her own risk. Although we make all efforts to monitor any public forum offered by our web site, we are not responsible or liable for an content posted by a third party in such forums as guestbooks, message boards, etc. including any content that may be offensive or obscene. We are not responsible for any risk to your computer, software or data being damaged by any virus, software, or any other file which might be transmitted or activated via a HauntedAmeric tours.com Paranormal Research & Investigations web page or your access to it and we are not be liable for any special, incidental or consequential damages, including, without limitation, lost revenues or lost profits, resulting from the use or misuse of the information contained in our web pages. We provide it on this site as a courtesy to our visitors. However, because it is a mechanical translation there are possibly errors in the translation. We make no warranty as to the accuracy or reliability of these translated pages. By using the HauntedAmeric tours.com Research & Investigations web site and undertaking email communications with us you assume responsibility for any and all associated risks. The Internet is public and e-mail communications may be subject to the risk of being viewed by other parties. In addition posts to public forums (i.e. message boards) are publicly available and we are not responsible for the use or misuse of information posted. The materials presented on this site are for informational purposes only. Outdoor and indoor activities and any form of ghost hunting can cause serious injury or death if proper training and caution are not followed. All information on Ghoststudy including but not limited to ghost hunting tips, ghost definitions, collecting ghost voices, ghost hunting conditions may be subject to significant change, or could be inaccurate for a number of reasons beyond our control. Visitors to Ghoststudy.com are cautioned to verify the information for themselves before using it for decisions that concern personal safety or economics, and to first obtain formal instruction before engaging in outdoor activities. The owners and providers of this site are not responsible for injury or damage of any kind, including but not limited to, injury, death, damage, or economic loss which may arise in whole or in part from the use of information on this website. By using this site, you hereby RELEASE and DISCHARGE it's owners, principals, employees, affiliates, presenters, producers and participants from any and all liability, claims, demands or causes of action that you now have, or may have in the future, for injuries, damages, death and/or economic loss of any kind or nature, arising in whole or in part out of the activities, advice or information contained herein. You further agree that if you or someone under your supervision use the information on this website you assume all risks of injury, damage, and economic loss, without limitation, and release providers from all liability therefore. The owners and presenters of this website assume no responsibility for the content of advertisements, banners or other websites which are linked to this site, or of materials presented by others on message boards which may be viewed here. By accessing same, you agree to assume the risk of all inaccurate or inappropriate content, and hereby release the owners and presenters of this website from all liability therefore. Haunted America Tours.com is dedicated to the research and investigation of history and hauntings around the World. We take our research very seriously and don't intend on exploiting or minimizing people's experiences. Our Main goal is not only to report hauntings and folklore, but as well to call everyone's attention to the preservation of the historic areas and buildings. Half of what we stand for is the exposure of history and historic events surrounding the haunted locations. We feel that the reason why ghosts and spirits "haunt" is directly related to the actual place they reside. Perhaps they once called this place home, or grew up there, it could be where they spent their entire life and most possibly where they passed away. 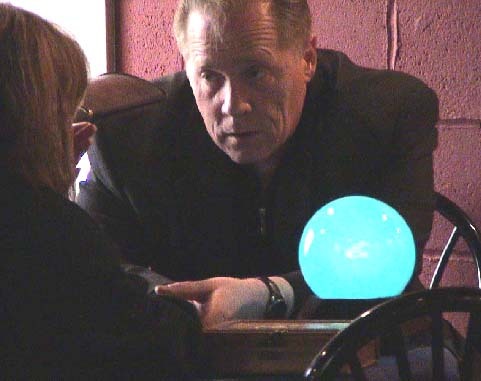 We report hauntings and folklore, we coordinate "paranormal" related events and psychic investigations, and we provide a place for people to tell their stories. This is what makes up Haunted America Tours.com, a site that's literally open and accessible for anyone and from anywhere around the World. Our Top 10 Haunted Hotel of the United States of America list, Haunted top 10 Cemeteries or list of reported Haunings of hotels buildings or locations and their particular Ghost filled Haunted Hotel stories are just a compilation and categorization of such. Haunted America Tours has taken considerable effort to ensure that the content of this web site is as accurate as possible, no warranty or fitness is implied. The information is supplied on an "as is" basis, and as such, Haunted America Tours or staff or suggestions by contributors shall have neither liability nor responsibility to any person or organization, property or phycical objects with respect to any loss or damage arising from the information or use of the information contained in this particular list. The related haunted tales of ghost and paranormal phenomena are all represented to us by different individuals out side of our website and or their statements and beliefs of said occurrences, and were or have been compiled from these sources, Or compiled by editing together several out side soueces, to form this list, specifically for Haunted America Tours. The Haunted United States Top 10 Haunted Hotels, Cemeteries, States, cities, or locations are reputed to have uninvited ghost guests in residence as suggested by out side sources that have refered or deemed their person beliefs to us. Haunted America Tours accepts no liability to with regards to the accuracy of the information on any page in the web site . The actual ghost stories and haunted tales of them have been complied from hotel staff, workers, employee's, visitors, or ocasional guest, and several independent Paranormal Investigators, and readers and in No way inferred as true, or truth by Haunted America Tours.com or our staff. we at /www.hauntedamericatours.com/ present all information as is or as entertainment and paranomal investigative material to consider as entertainment value. These are solely the beliefs and contributions of those interviewed or sent to us by readers through their submissions to prepare for this Top 10 Haunted Hotel list, top ten Haunted cemeteries, top ten haunted etc. by either Phone or email submission or actual face to face personal interview. The United States of America is a country often associated with all kinds of scary ghosts and haunted houses and haunted mansions, and Plantations. Many often a few make the claim of being "the most haunted house in America." And there's quite a bit of anecdotal evidence to support those haunted ghost filled claim. Many haunted web sites on the internet claim to be the most haunted. Our visitors have chosen the Top Ten Most haunted and scariest Sites on the web. Did your Favorite haunted internet Site make the cut? So Please read a collection of ghost facts and fictions surrounding these urban legends and haunted real ghost filled tales that hauntedamericatours.com has compiled from our readers as our Readers selection of the" Top Ten Most Haunted List in The United States of America". This statement covers the site http://www.hauntedamericatours.com.com/ (Haunted America Tours). Please read this statement carefully before using proceeding to access Haunted America Tours Your use of Haunted America Tours indicates your agreement to abide by the Terms in effect. Haunted America Tours site that links to other sites. If you are under 18, mentally or seriously impressionable to sensitive material, written, photographed are drawn to you must leave now. You agree to indemnify and hold Haunted America Tours and any other person or entity involved in creating or distributing the Network, as well as each of their respective parents, affiliates or subsidiaries and their respective directors, officers, employees and agents, from and against any and all claims, liabilities, damages, losses, costs, fees (including reasonable attorneys' fees) and expenses that such parties may incur as a result of or arising out of your (or, in the case of Members, anyone using your account's) use of, or conduct with respect to, the Network. Haunted America Tours contains links to external, third party web sites along with relevant commentary to provide our visitors with an up to date digest of current news stories. By providing links to other sites, Haunted America Tours does not guarantee, approve or endorse the information or products available at these sites, nor does a link indicate any association with or endorsement by the linked site to Haunted America Tours . Haunted America Tours does not operate or control and has no responsibility for the information, products and/or services found on any external sites. Nor do we represent or endorse the accuracy or reliability of any information, products and/or services provided on or through any external sites, including, without limitation, warranties of any kind, either express or implied, warranties of title or non-infringement or implied warranties of merchantability or fitness for a particular purpose. Visitors to Haunted America Tours assume complete responsibility and risk in your use of any external sites. Visitors should direct any concerns regarding any external link to its site administrator or webmaster. If a comment is made using your identity it will be deemed to have been posted by you. Do not post abusive, obscene, threatening, harassing, defamatory,libelous, or offensive material. Do not intentionally make, false or misleading statements. Keep all comments relevant and 'on topic' to the particular Haunted America Tours posting open for comments. Haunted America Tours will not accept responsibility for information posted in the Comments. If Haunted America Tours receives notice that any posting is not in keeping with these terms and conditions or the intended use of the Comments, Haunted America Tours may remove that posting and/or any other related postings. Please note that unless Haunted America Tours is notified of a posting that is not in keeping with these terms and conditions then we will not remove it, furthermore we do not exercise any form of editorial control or censorship of Comments other than the above stated procedure. This statement covers the site www.hauntedamericatours.com (Haunted America Tours). Please read this statement carefully before using proceeding to access Haunted America Tours . Your use of Haunted America Tours indicates your agreement to abide by the Terms in effect. Haunted America Tours . is the sole owner of the information collected on www.HauntedAmericaTours.com. Haunted America Tours may collect information from our users at several different points on our Web site. In order to enhance their use of Haunted America Tours , users can choose to leave comments on particular articles of interest. To leave a comment, users must submit information including a valid email address. Haunted America Tours uses this information to screen out users who leave comments prohibited by our terms and conditions of use, and will not pass this information to any other organization. Haunted America Tours may launch a mailing list in 2004. In order to sign up to receive regular emails from this mailing list, users must submit information including a valid email address and demographic information such as location and interests. This information will be used in aggregate form only in order to assess general user interest in various internal and third party products and services, and your personal and contact information will not be passed to any other organization. Users who choose to sign up for the mailing list will receive regular emails from Haunted America Tours including new articles added to the site as well as emails from third party Haunted America Tours site sponsors. If you do not wish to receive emails from third party advertisers, do not sign up for the mailing list. In order to further enhance the Haunted America Tours user experience, Haunted America Tours may launch a discussion board service where users can discuss common topics of interest. Users will have the option of signing up for this service, and to do so must submit information including a valid email address. Haunted America Tours uses this information to screen out users who leave comments prohibited by our terms and conditions of use and to pick out topics of interest to discussion board users. Haunted America Tours will not pass this information to any other organization except in aggregate form. By setting a cookie on Haunted America Tours, users will not have to log in a password more than once, thereby saving time while on the Haunted America Tours discussion board. We store a cookie on each user's machine that contains a username and encrypted password. You can configure your browser to accept all cookies, reject all cookies, or notify you when a cookie is set. If you reject all cookies, you will not be able to use Haunted America Tours products or services that require you to "sign in," and you may not be able to take full advantage of all offerings. However, not all Haunted America Tours services require that you accept cookies. The ads appearing on this Web site are delivered to users by a number of third party ad services. Information about users' visit to this site, such as number of times they have viewed an ad (but not username, date of birth, or any other personal information), may be used to serve ads to users on this site. Like most standard Web site servers Haunted America Tours uses log files. This includes Internet protocol (IP) addresses, browser type, Internet service provider (ISP), referring/exit pages, platform type, date/time stamp, and number of clicks to analyze trends, administer the site, track user movement in the aggregate, and gather broad demographic information for aggregate use. IP addresses, etc. are not linked to personally identifiable information. We may use a tracking utility that uses log files to analyze user movement. Though we make every effort to preserve user privacy, Haunted America Tours may need to disclose personal information when required by law wherein we have a good-faith belief that such action is necessary to comply with a current judicial proceeding, a court order or legal process served on our Web site. In the event Haunted America Tours goes through a business transition, such as a merger, acquisition by another company, or sale of a portion of its assets, users' personal information will, in most instances, be part of the assets transferred. The Haunted America Tours web site contains links to other sites. Please be aware that we, Haunted America Tours, are not responsible for the privacy practices of such other sites. We encourage our users to be aware when they leave our site and to read the privacy statements of each and every Web site that collects personally identifiable information. This privacy statement applies solely to information collected by Haunted America Tours .